We’re tracking down InVision users inside the world’s most amazing companies to discover their favorite tools, inspirations, workspace must-haves, and the philosophy behind what makes them so awesome. 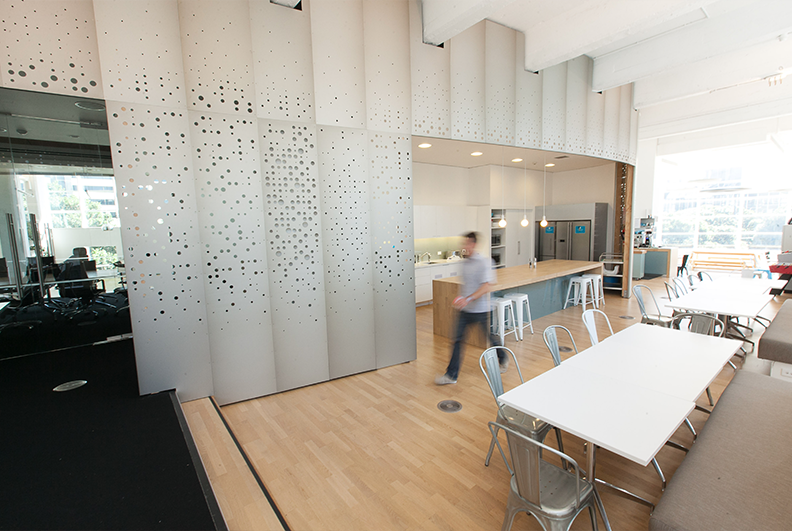 This week, we chatted with Philip Fierlinger, Head of Design & co-founder at Xero. The popular cloud accounting app has over 280,000 customers around the world, with customers who post tweets like this everyday “OMG I love @Xero right now! I’m starting to feel so much more businessy and organized 🙂 #funtimes #orderfromchaos”. 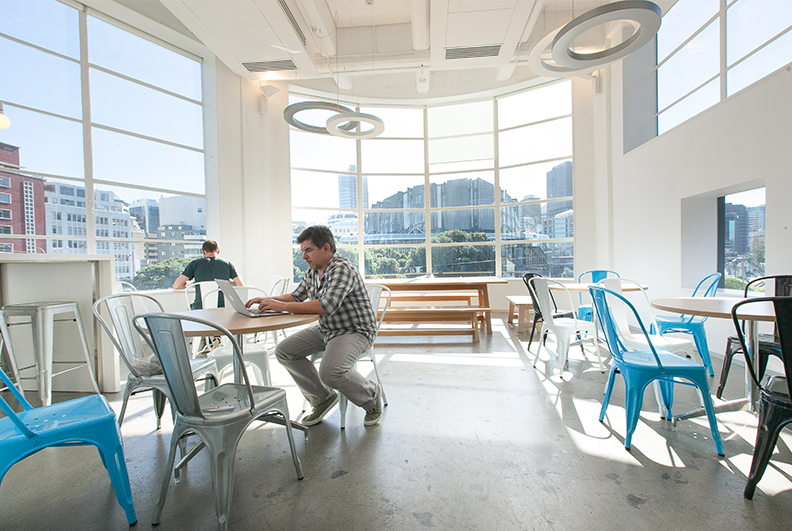 How would you describe Xero and its design vision? We’re building a platform for small businesses to better understand and manage their money. In the past, only a finance person with accounting expertise had the keys to the software and they wouldn’t let anyone else touch it, because it was a house of cards that could easily fall over. Traditional accounting software focuses on accounting – it’s not designed to manage daily cash flow, which is what Xero focuses on. That shift in focus ends up making the accounting much simpler, faster and in some ways even a bit fun. For example, take something traditionally tedious and painful like bank reconciliation. How do you make that into something people actually enjoy doing? When we started Xero, I had a three-year-old who loved playing a card matching game. You know, you flip a card over and then flip others over until you find the pair. It gets really addicting and fun. I realized that’s what bank reconciliation is all about – finding a match. People love the bank reconciliation in Xero. We created an accounting experience that actually makes people smile. Our approach to design is not about making software look pretty. In fact, I tell people, we’re not a software company, we’re a user experience company. Our competitors are software companies and they solve problems by giving people more software and technology, which people actually hate. For us, the technology needs to get out of the way as fast as possible. That’s the key to good design. We all have to realize that what we’re building has broader social impact. What are the 3 critical elements of your workspace that you couldn’t live without? Open Space – Open space and natural light are key to my happiness. At the office we have a beautiful cafe with a giant window with a nice view of the harbor. 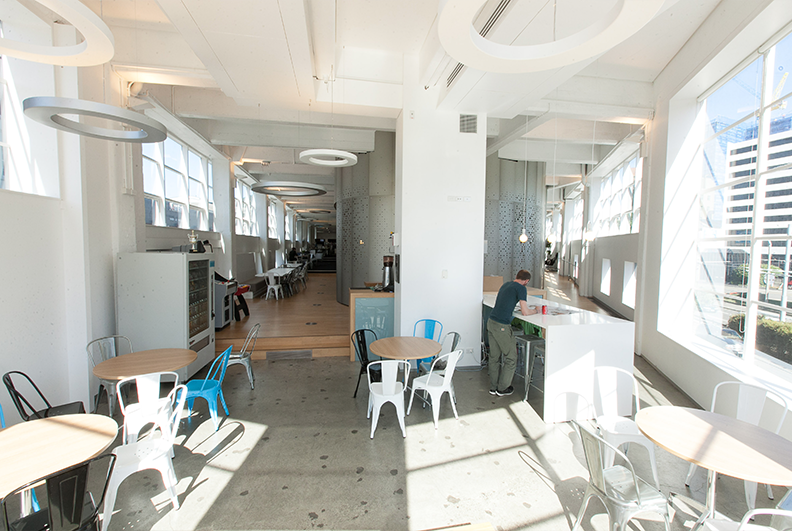 In the SF office, we have a great rooftop deck with nice views of the bay and the bridge. Giant Screens – When we were designing the office, we liked the idea of pinboards for pasting things up, but we never use them. Now we have giant screens up on the walls, which is so much more useful for sharing what we’re doing. Thunderbolt Monitors – For me, I’m all about screen-based tools, for sure. I’m not one of those designers who says, “Oh, I couldn’t live without my sketchbook!” Sure, we sketch on whiteboards and notebooks, but we design for screens, so we need to think on the screen. That’s why Thunderbolt monitors are essential. Great People – I depend on the people around me. I love being surrounded by great people to collaborate with, bounce ideas off, learn from and just have a laugh together. Otherwise, what’s the point? Well, I haven’t done hands-on design in years. So for me, my inspiration is just watching my team work, seeing what they produce and discovering what inspires them. The other thing that inspires me is photography. I’m a diehard Instagrammer. For the last ten years, I’ve only used my mobile phone to take photographs. It just helps me be aware of my environment, of all the everyday details that surround me, and to see things through a lens that aren’t always obvious if you’re not looking for them. I get a lot of information and inspiration at conferences too. I just went to Webstock, an annual conference here in New Zealand, and I have to say it’s easily the best conference I’ve ever been to. It’s an amazing array of different speakers: designers, technologists, musicians and artists. Big ideas are the focus, way beyond just pixels and money, that are really important for us to consider. There’s this kind of rat race to get users and customers and revenues, but we all have to realize that what we’re building has broader social impact. 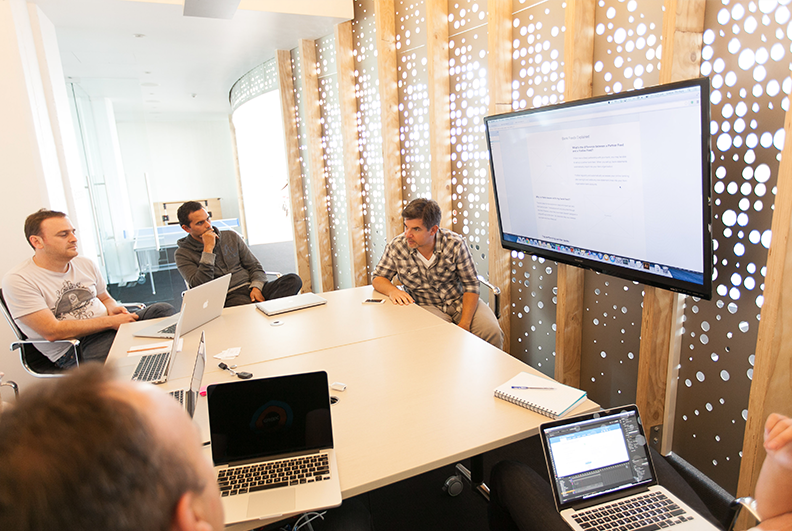 InVision increases the speed and quality of our collaboration across the entire company. With our teams so spread out now, it’s absolutely critical to our growth. Who are the people in your Twitter network that are the big influencers? Well, I just want to point out that I definitely credit Twitter with the success of Xero. Without Twitter emerging just as we were emerging, we would have really struggled to build an audience. It’s really hard for us to say, “Hey, we’ve got this great accounting product that people love!” But when other people spontaneously say it out of pure euphoria and share it with the world, that made a massive difference for us. How do you use InVision in your process? We’ve always used Flash to design and prototype, but we couldn’t see or share our prototypes on iOS devices. We needed a way to view our prototypes on iOS devices, and that’s when we turned to InVision. We started using it just for iOS prototyping and still kept using Flash for everything else, but after a few months we made the switch entirely and we’ve never looked back. We still actually design in Flash, but we export everything to InVision to share and collect feedback. We use InVision to collaborate and communicate across the entire company, not just within the design team. During the concept stage we’re collaborating and getting feedback through InVision from product managers, developers, customer support, as well as user testing. The documentation team uses the prototype to start creating support videos and tutorials around the new features, while the marketing team uses the prototype to demo the new features at events like Xerocon, our annual conference. This allows different teams to work in parallel to bring new features to customers as fast as possible. Design is the first thing you do, not the last thing you do. Honestly, without a tool like InVision I think I’d cry! It’s an absolute necessity for us – InVision increases the speed and quality of our collaboration across the entire company. 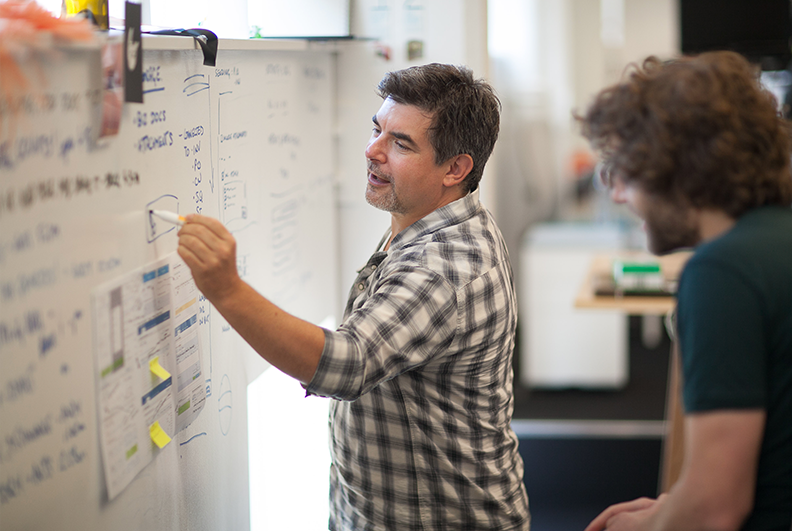 With our teams so spread out now, it’s absolutely critical to our growth. What do you think are the wider industry trends changing the nature of the designer’s role? Business leaders have slowly become aware of the value of design, so every business now claims to be “design-led”. But they still don’t understand design – they still think design is about making things look pretty. As designers, it’s our job to educate business leaders and managers on how design really works. We need to insist that design is the first thing you do, not the last thing you do. Business people have been trained to think that engineering is the way to make better products, so they aim to make products that are technically superior. The reality is customers don’t care how technically advanced your product is. People want products they can love , that make them smile every time they use it because it anticipates what they want and it works beautifully every time. To achieve that, to be truly design-led, designers need to be involved from the start and lead the product direction. Despite all the lip service to design, you still have to fight hard to make that actually happen in almost every business. The simple answer is depth. A good designer can make things look pretty on the surface, but lacks depth. They can design nice screens, but they don’t think about the complete user journey or the flow between points in the journey and all the micro-interactions that happen along the way. A great designer thinks about the big things as much as the little things , from the view of the customer, the technology and the business. We’re finding it really difficult to find all-rounders – that is, people who can do everything from concepts to prototypes to the finished visual design. These all-rounders are people who do both UX and UI, who know how to code and who also think about business strategy. They’re not specialists. They aren’t narrowly focused on any one thing too deeply, but they’re extremely good at all these things. That’s a big ask, but that’s exactly what we look for. So aim to be an all-rounder. Aim to understand the technology, the customer, the business. And it’s essential you build something. You can’t just design in abstract , in Photoshop. You actually have to build something and get it out there with people using it, to understand the whole process from soup to nuts. Otherwise you’re just a stylist, not a designer. One more piece of advice: Learn to write! If you look at any piece of software, 99 percent of it is words. Words are the biggest design challenge you will ever face , because in one simple short word you have to convey an enormous amount of meaning, or in a short heading you have to explain so much. Being able to write in the simplest terms possible – concisely and coherently – is incredibly hard. So practice, a lot!